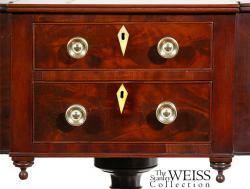 This worktable with beautifully figured mahogany throughout has astragal ends hinged at the center with individual locks, as are each of the drawer fronts. 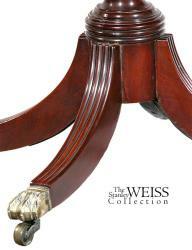 It is a very robust piece with a well- defined urn and shapely reeded saber legs. 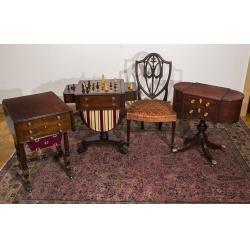 This worktable is attributed to the latter part of Thomas Seymour's career, c.1815, and described in detail in Robert Mussey's The Furniture Masterworks of John and Thomas Seymour. 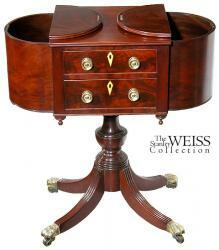 Note the card table shown here and the remarkable similarity in the saber feet. 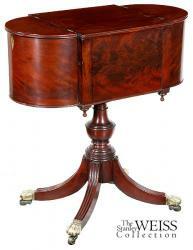 But, more than that, the drawers underneath had the touching blocking which Robert Mussey points out as a Seymour trait and, the mahogany drawer sides and back, which Seymour used throughout his career and typical of the highest quality work. 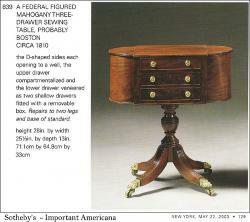 For other tables with astragal ends, but not Seymour work, see Sotheby's May 2003 Americana Auction. 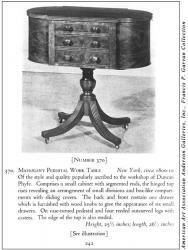 Also, a related table from American Art Association Anderson Galleries, Inc., from the Francis P. Garvan Collection. 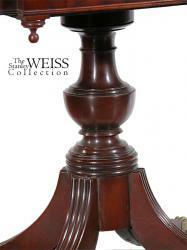 This table is in fine condition, retaining its original drop pendants. 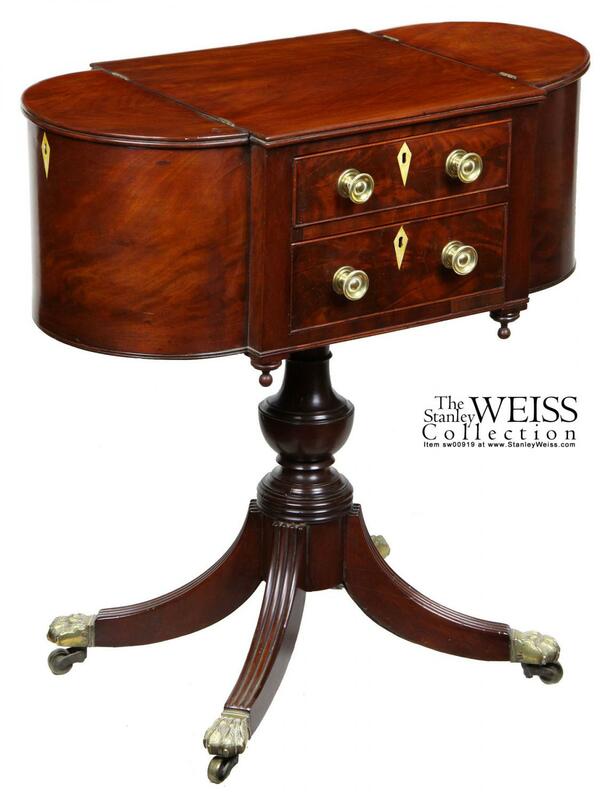 In closing, this table is the best of the form, with a dramatically stylized urn, beautifully figured solid mahogany with a mellow amber patina and ivory escutcheons. All is original and is in mint condition. Height: 28 3/4 in. Width: 27 1/4 in. Depth: 16 in.